We are a preeminent organization engaged in Distributing a wide range of Industrial Equipment. This range comprises Automobile Application and Carbon Steel Seamless Pipes. Offered industrial equipment are widely admired for their low maintenance, durability, sturdy construction and easy installation. To ensure the presence of afore-named features, our vendors manufacture these industrial equipment by making use of premium quality raw material. 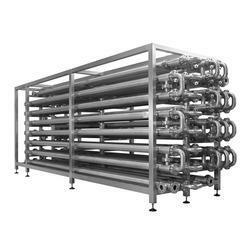 We are highly appreciated by the clients for offering supreme quality Heat Exchanger Tube. These tubes are manufactured under the guidance of expert professionals, who hold vast experience in this domain. Moreover, we offer these tubes in various specifications to meet the diverse requirements of our clients. We have established ourselves as one of the preeminent organizations engaged in trading and supplying premium quality Boiler Tube. 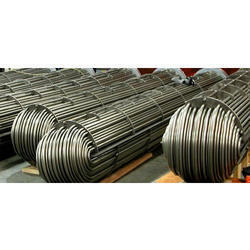 Our provided boiler tubes are widely demanded among patrons as these are durable. With an aim to ensure the same, our vendors manufacture these boiler tubes utilizing quality assured raw material. In order to cater to the requirements of patrons, we are engaged in offering high grade Idler Roller Conveyor as per the given specifications. To ensure that offered roller conveyors are able to suit the requirements of requisite industry, our vendors manufacture these by using supreme quality raw material. 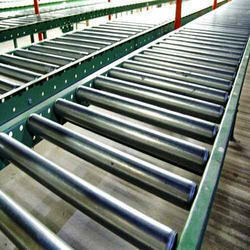 Moreover, our vendors strictly adhere to globally laid quality standards while manufacturing these roller conveyors.